One of my favorite flowers are lotus flowers. It is season of lotus flowers in July, here in Los Angels. 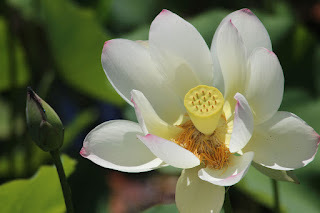 Recently, I went to visit LA’s famous lotus flowers at Echo Park. Echo park have been offering the Lotus Festival which started in 1972 to promote awareness of the contributions by Asian Americans to our culture and communities. The festival focuses on a different Asian ethnicity each year, this year they will showcase the Chinese culture. 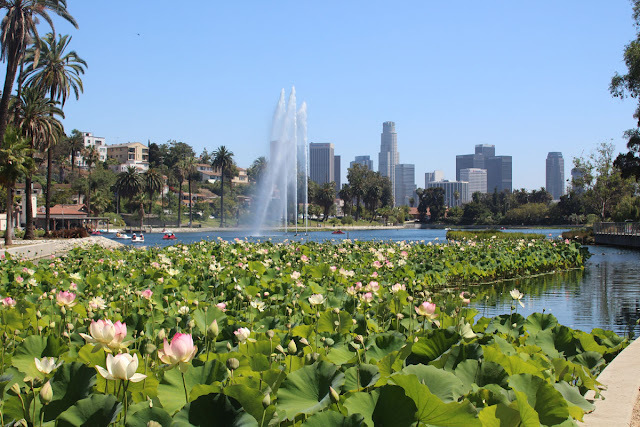 I went to visit Echo Park to see the Lotus flowers for the first time in 2004 while I was still using a wheelchair to move around. The breathtaking beautiful lotus flowers heal my soul and gave me hope to walk again. 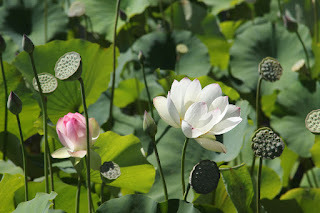 I went to visit there almost every year, but when I went to visit in 2007, the Lotus bed seemed to be dying off. I heard that it died completely and was gone in 2011. I think it was probably due to pollution and temperature changes. They did not have the lotus festival for a while, but I got a news of the lotus flower bed was rebuilt and completed and they had the lotus festival again on July 11 and 12 this year. 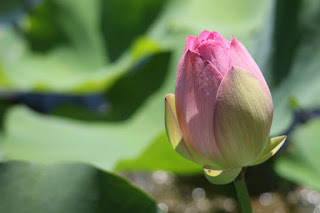 I did not go to the festival, but went to see the lotus flowers the other day and I was so happy to see that they were beautiful lotus flowers as I remembered. I hope you enjoy visit someday or go to festival next year. 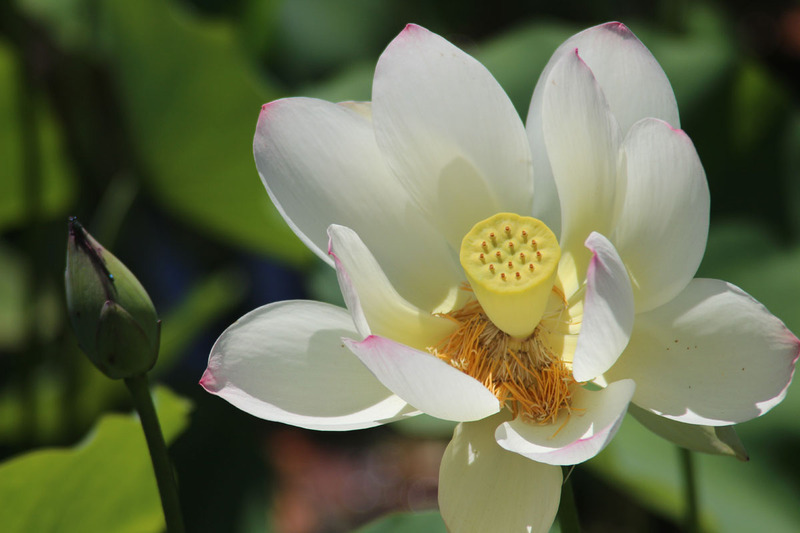 If you have never seen lotus flowers, take a visit there or if you have seen a lotus flower you know special they are so make sure you go visit to have a special moment!